Cotton Graphic T-Shirt - Assorted Styles Only $12 Shipped! You are here: Home / Great Deals / Cotton Graphic T-Shirt – Assorted Styles Only $12 Shipped! Cotton Graphic T-Shirt – Assorted Styles Only $12 Shipped! These aren’t just any T-shirts. Each and every one of these beauties is a must-have! You can get one of these Cotton Graphic T-Shirts in Assorted Styles for Only $10 Plus $2 Shipping! 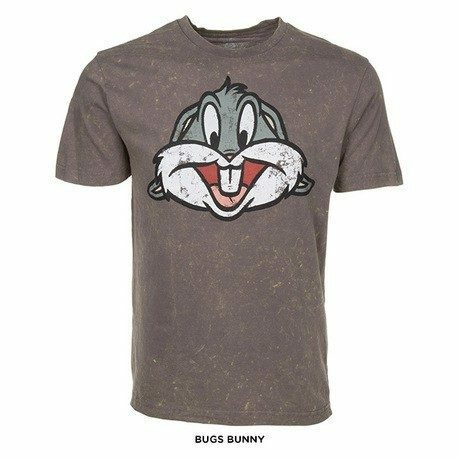 Whether you opt for the one of the cartoon character or iconic brand tee, you’ll hold your head high with every wear. Select your favorite (if you can narrow it down), or grab a few and surprise your buddies and become a gift-giving hero!